Website design York and web development based in York city centre. Our York web design team only use the latest html and css coding from Simulant to get your business online quickly and without you needing any technical knowledge. We also offer a price promise; we'll beat any other competitors York website design quote like-for-like. We provide York web design made simple - everything is set up for you allowing instant online promotion. We offer fully bespoke Web Design for your business or organisation in York at the most competitive prices. Simulant Systems Ltd have over 15 years of Website Design and Development experience in the historic city of York. With our offices based in York city centre, we are always at hand to make sure your business is successful online. Our professional team of website designers can design a professional website to your exact business requirements, matching your existing branding or we can help with rebranding, logo design and colours. All our sites are built on HTML5 and CSS3 mobile responsive standards. We offer a York-based local website development service tailored to your needs and aimed at businesses in York needing high quality website design. Our prices are the most competitive available and we can also help with Google optimisation, Social Networks, Mobile and other forms of online marketing. Our York Website Design package includes unlimited business email storage, ongoing support and maintenance as well as periodic software upgrades and updates. Our aim has always been to support York and Yorkshire businesses online, so we make sure to give ongoing website design support and customer service, helping ensure your website is always future proof, up-to-date and relevant. We also offer you the ability to update your finished website yourself with 24/7 support. We can help your business through a new and fresh online web presence. York's best website development & graphic design company. We'd be lost now without them! Simulant York Web Design also offer Mobile websites, build apps for iPhone, Android and other smartphone devices. Website design or mobile app development is also provided for iPad and Tablets. 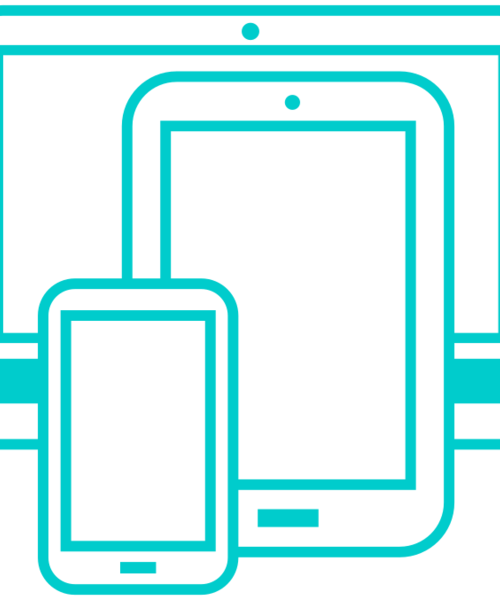 Mobile website design and mobile apps make viewing your business much easier on the move with clear text and buttons. Web Apps and Mobile Sites can also be integrated with your existing full website. This allows detection of the device being use and redirection so that the visitor always lands on the correct site or app for the device being used. We currently also develop York Tourism Apps on Android and Apple platforms and can help you with any other mobile requirements. Visit this site on a Smartphone or Mobile such as iPhone now for an example of the integration. See our YouTube video demonstration. At Simualnt we offer the best value Web Design York packages, in fact we are confident we are the cheapest web designers in York! To ensure this, we will beat any other York Web Design quote on a like-for-like basis, just email us a copy of your York website design quote and we'll beat your quoted price without question. We offer a very simple website design and maintenance price plan. Starting from just £5 per month, we are the most cost effective York web design business, with the best business web startup solutions available. For more information on website design please use the Contact link to get in touch. You can also Register an Account with Simulant Web Design York or sign up for services in our Client Area. Starting the York Website Development process with Simulant is simple. We are happy to meet in person to discuss your requirements, work with you via email or you can order online now if you wish to get things moving faster. You can see updates and check proofs of the website design at every stage. Once you are happy we can then go live with the new website. Contact us now for further information.